Visa Account Updater (VAU) is a free service that will allow merchants to receive your updated debit/credit card information in the event of any changes (e.g. new expiration date, new card number in the event of a lost or stolen card, etc.). This will help provide merchants who maintain your debit/credit card information (e.g. subscription services, utility companies, etc.) the ability to continue with those payments even after a change to your card information. Even with VAU, you should still verify that your debit/credit card information has been updated with any merchants in the event of any changes. 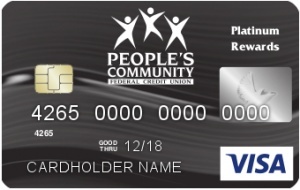 People’s Community Federal Credit Union cannot guarantee that your debit/credit card account information will be updated before your next payment date. If you would like to opt out of VAU, please fill out the form provided. 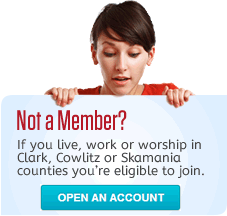 After the form has been filled out, either mail it to PO Box 764 Vancouver, WA 98666 or drop it off at one of our branches. If you have any questions, you can always call us at 800-252-6525. Once opted-out, you will continue to be responsible for providing updated information, including changes to your debit/credit card expiration date, to merchants which have your debit/credit card account information on file.